Fiona has worked in clinical and educational settings from metropolitan and regional centres to rural and remote areas. 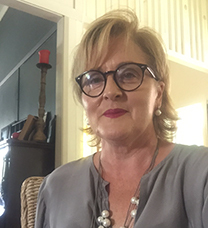 Fiona graduated with a Diploma of Applied Science (Nursing) at Charles Sturt University (CSU) in 1989 and later updated to the Bachelor of Health Science (Nursing). She worked as an Assistant in Nursing (AiN) during the first three years of study, then completed a graduate program in Broken Hill, NSW. In 1990 Fiona worked at The Fitzroy Nuffield Hospital, London. She later travelled to and worked at Yuendumu, Central Australia. In 1992 she began a career in critical care, mostly in ED & ICU and on a retrieval team for road trauma. For two decades Fiona worked as a clinical facilitator, nurse educator, lecturer in nursing (CSU). 1999 to 2001 Fiona worked in the ICU at the Ashford Hospital, Adelaide and as a clinical facilitator at the University of South Australia. From 2003 to 2008 Fiona was Deputy Director of Nursing in a large aged care facility and then Director of Nursing. During this time she was also a Mentor, member of the Association for Australian Rural Nurses (AARN), 2003–2004 Convenor, Recruitment and Selection Panel for Trainee Enrolled Nurses. Woods, C., Usher, K., East, L., Barrett, F., O’Shea, E. & Bookallil, L. (2018). Australian farmers’ sun protective behaviours: Risky business. Poster presented at the 12th Biennial Conference of the Global Network of WHO Collaborating Centres for Nursing and Midwifery, 17-20 July, Cairns, Australia. Woods, C., Usher, K., East, L., Barrett, F., O’Shea, E., & Bookallil, L. (2018). Occupational exposure: Rural farmers sun protection behaviours. Poster presented at the 7th Rural Health and Research Congress, 5-7th September, Tamworth, Australia.